The Mays have been squatting with their belongings and only a plastic sheet to cover them. Originally published on GroundUp (emphasis by SDLAW*). Simon Dippenaar & Associates Inc. is a law firm with offices in Cape Town, Johannesburg, and Durban consisting of specialised eviction attorneys and property lawyers. Contact us for eviction help on +27 (0) 86 099 5146 or sdippenaar@sdlaw.co.za. “The plight of a farm-dweller family evicted from their home on a prominent wine farm in Paarl this week put the spotlight back on the growing tension between the legality and morality question relating to farm evictions. This eviction followed days after President Cyril Ramaphosa assured farmworkers in Citrusdal that his party would support farmworkers in their fight against evictions and oppression. Days later, Alfred May and his family found themselves out on the street with all his belongings when the sheriff of the court enforced an eviction order. According to the organisation Women on Farms Project (WFP), May worked on the farm for 28 years until his employment was terminated. The eviction also sparked isolated protests by some farmworkers. Yet, according to a statement the farm owners issued, May was fired in 2008 because he sold liquor illegally on the wine farm. He had been asked to vacate the premises, but he refused. The owners insisted they followed due process with court rules and legislation, and thus acted within their rights. “The eviction of the occupiers did not occur abruptly. It was the culmination of a nearly decade-long process at a large financial cost and prejudice to the farm,” the statement read. Co-director of WFP Carmen Louw told Parlybeat the issue of tenure security is closely linked to broader land and agrarian reform. “Current legal instruments such as Esta (Extention of Security of Tenure Act) give farmworkers limited protection, and farmers learned how to use these loopholes in legislation. 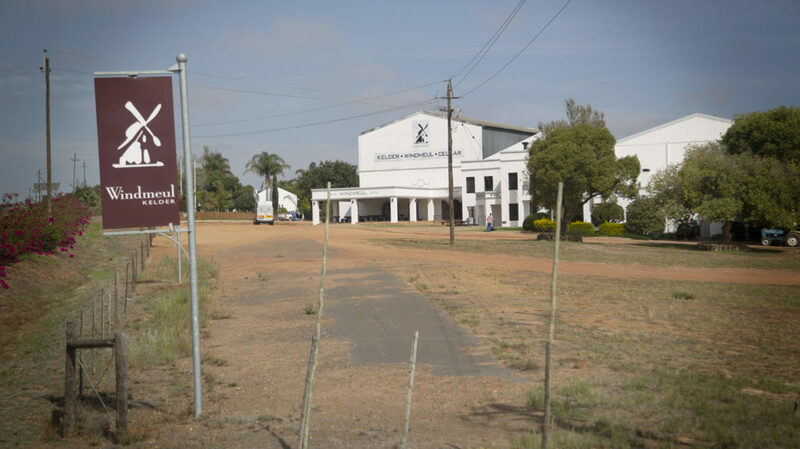 They only need to provide accommodation to farmworkers whilst they are in their employ and when you reach long-term occupier status,” Louw explained. “What we see now is farm dwellers who lose their employment before they reach long-term occupier status, as is the case with May’s eviction.” A long-term occupier refers to a person who is older than 60 and who has lived on the farm for 10 years, or someone who became disabled or sick while employed on the farm. Louw explained that farmworker women are often at an even greater disadvantage. “Historically women were not employed on farms, so they never qualified for tenure security in their own right. As a result, widows are evicted “legally”, as was the case on a farm in Rawsonville earlier.” Louw said legal processes also mean very little if poor farm dwellers who live far away from courts cannot access these courts, or are unable to read or understand legal documents. WFP director Colette Solomon during a recent seminar at the University of the Western Cape said laws are well intended, but farmers are well-resourced in terms of legal representation. “Farmworkers have a moral and economic claim to the land,” she insisted. “One of the greatest perversions in South Africa is that those who produce our food often go to bed hungry.” Solomon referred to a “systematic backlash by farmers over the land expropriation issue”. 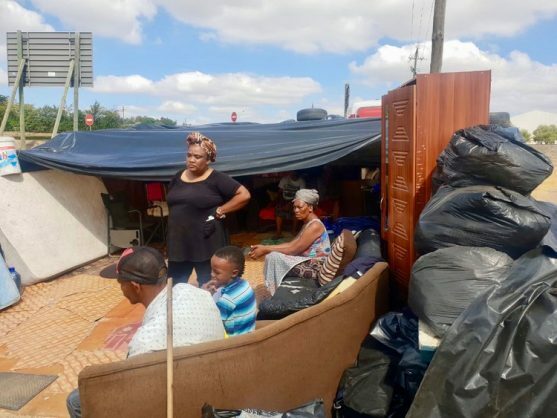 Says Solomon: “What we see is increasing evictions and unfair dismissals.” Solomon said the organisation also observed “constructive evictions”. She explained that farmers often make living and working conditions unbearable to force farmworkers from farms. This may include cutting off water and electricity and locking doors. When approached for comment, farmer representative body Agri Western Cape asked for details of evictions to investigate and said they cannot comment on allegations. According to Solomon, however, there are more than 1 000 eviction cases on the court roll for the Drakenstein area. This include towns like Paarl and Wellington. It is estimated that if granted, these eviction court orders will affect about 20 000 farmworkers and families living on farms. May was likely part of these statistics. WFP deals with an average of 35 tenure-related cases per year. Last year the organisation dealt with almost 100 matters affecting almost 500 farm dwellers. *Simon Dippenaar & Associates Inc. are a law firm of specialised eviction lawyers in South Africa.